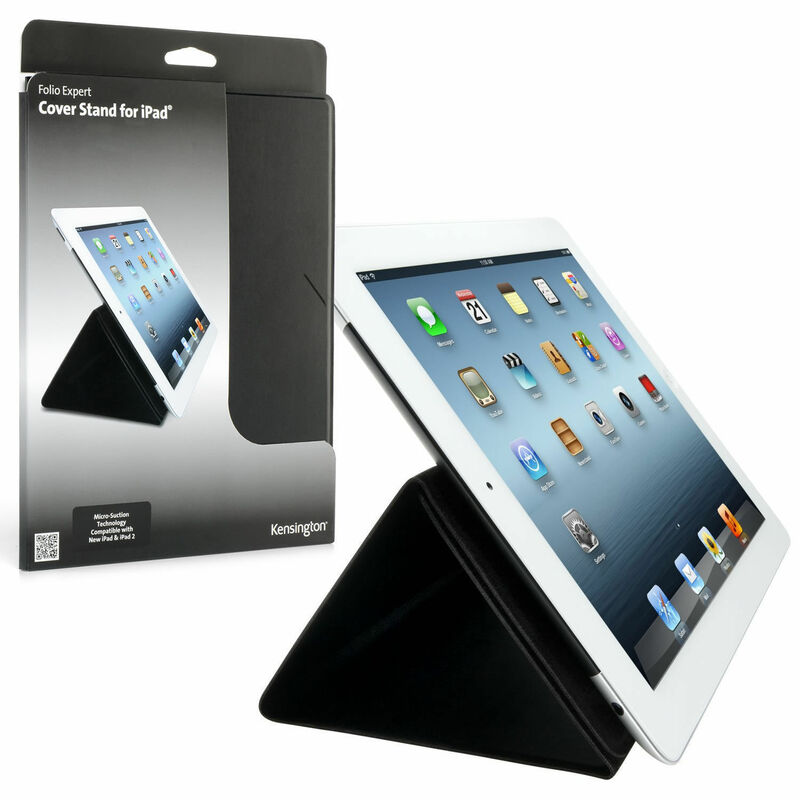 Protect your ipad / tablet from scratches and bumps while on the go with the new Kensington Folio Expert Tablet Cover Stand. Using a unique micro-suction technology. The remarkable Microsuction technology is literally millions of miniature suction cups that securely hold your tablet without adhesives. No adhesives means no sticky residue. 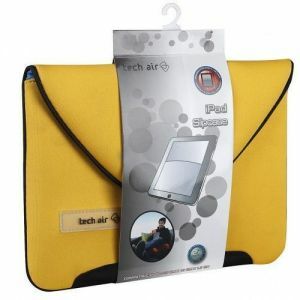 And it means that your tablet can be removed and reattached countless times. 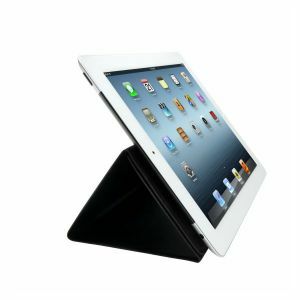 Protect your ipad / tablet from scratches and bumps while on the go with the new Kensington Folio Expert Tablet Cover Stand. Using a unique micro-suction technology. The remarkable Microsuction technology is literally millions of miniature suction cups that securely hold your tablet without adhesives. No adhesives means no sticky residue. 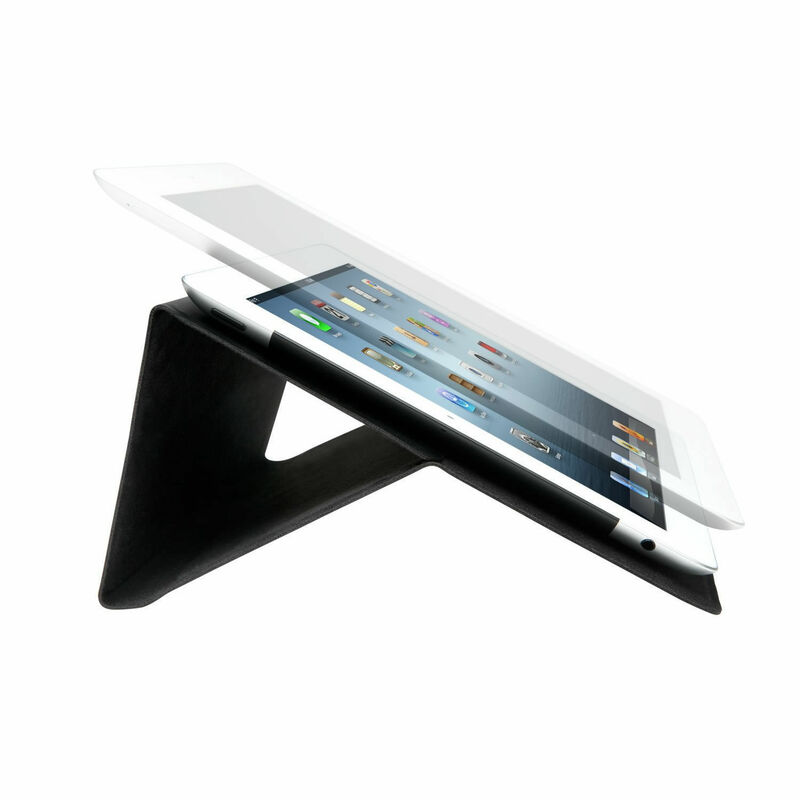 And it means that your tablet can be removed and reattached countless times. Another advantage of Microsuction technology is that it’s not form-factor dependent. So any device with a smooth back, including future tablets and your smartphone can be used in the folio. 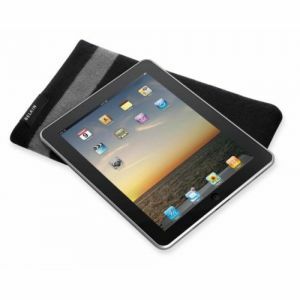 Once inside, your tablet is wrapped in a layer of microfiber that protects it from scratches and wear. 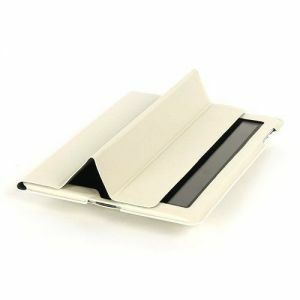 And the magnetic closures keep the folio cover secure when on the go or for in case use. 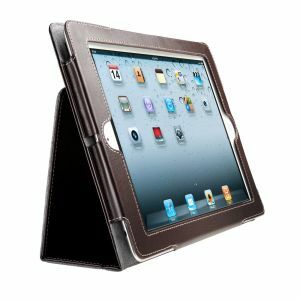 When you reach your destination, the folio easily converts to landscape or portrait viewing and adjusts to a variety of angles for greater comfort, whether it is on a desk or on your lap. Kensington K39592WW Folio Expert Case & Stand For Apple iPad & Tablets Cover Black?